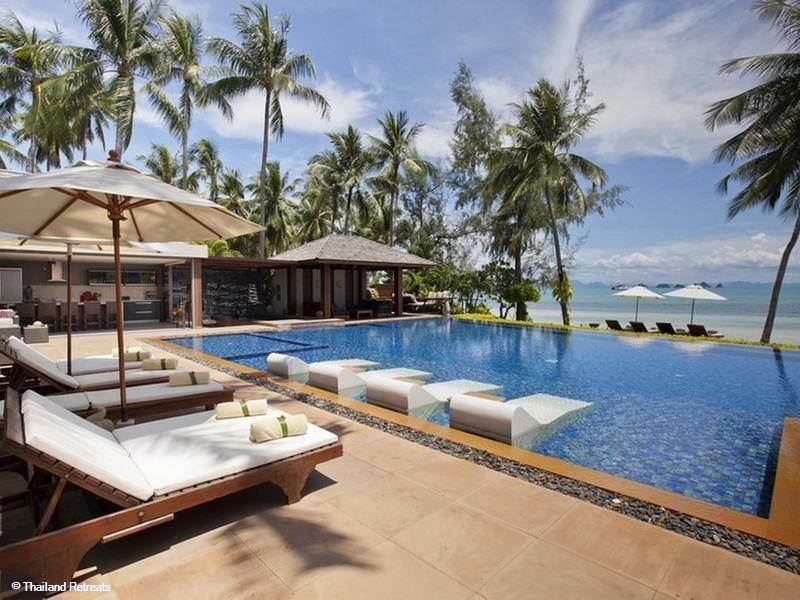 Find your perfect holiday villa with Samui Holiday Villas. We have hand-picked a collection of the most stylish, luxurious and best value Koh Samui villas on the island. Choose one of our amazing luxury beachfront villas, a tucked away hillside villa or one with a spectacular sea view. Some of our villas have their own in-house chef, private gym or cinema. Let us know what you need and our experienced specialists will find the villa that’s right for you. Our 6 Villa Collections below are designed to guide you effortlessly through the process of finding the perfect Koh Samui holiday villa. Whether you are looking to do your own thing and have a great value holiday with your chosen few enjoying the space of your own private pool villa or looking for the ultimate in a fully staffed beachfront luxury villa for an A-list style getaway - You're in the driving seat, so you can decide which of these stunning villas suit you. We are a member of ABTA (Association of British Travel Agents) and governed by their Code of Conduct. We shall provide the best customer service and ensure that you can travel with confidence and enjoy your dream villa holiday in Thailand. All our properties are hand-picked and inspected by our team. Our portfolio is strictly curated by us and is continually under review. Any villa selected to be listed has to meet or exceed our strict list of minimum requirements. Our family run business has offices in the UK and Koh Samui ensuring a round the clock personal service wherever you are. We offer advice on all the villas based on personal experience and first hand knowledge of the amenities that Koh Samui has to offer. 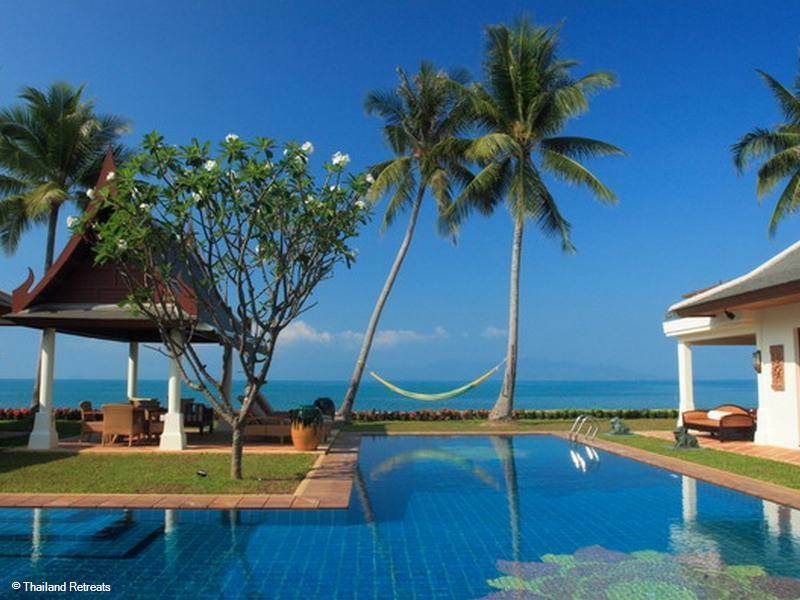 We were one of the first villa rental companies in Koh Samui. Our parent company has been established in Koh Samui for over 18 years and have welcomed over 500,000 happy guests. Our professional network of travel partners ensures that Samui Holiday Villas is committed to offering the best price available online. If you find a lower rate online with another qualifying source we shall price match (Terms and Conditions apply). We have a range of villas in our collections from simple self-catering to high-end luxury beachfront villas to suit any group size and many offer a stunning range of amenities including infinity pools, personal chefs and even tennis courts, gym or a cinema. The choice is yours. 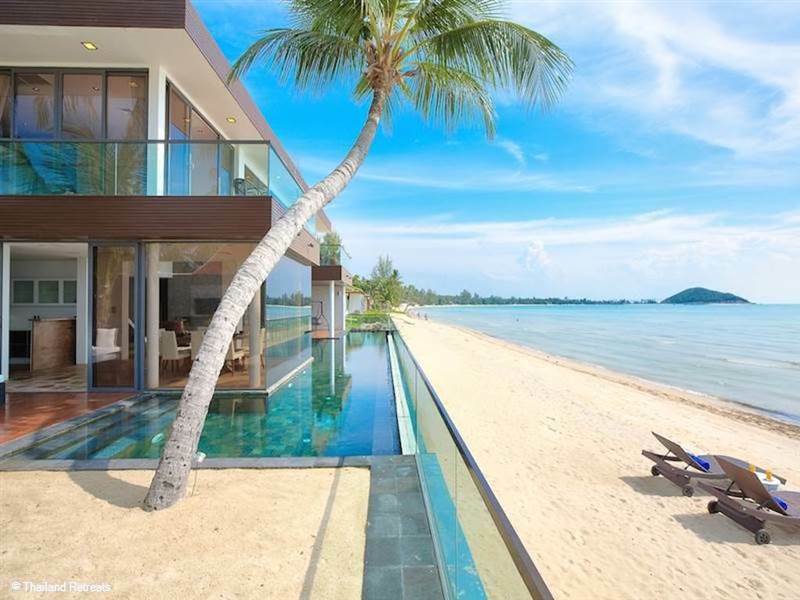 We have also created Villa Collections in our portfolio to assist the search for your perfect Koh Samui Villa. 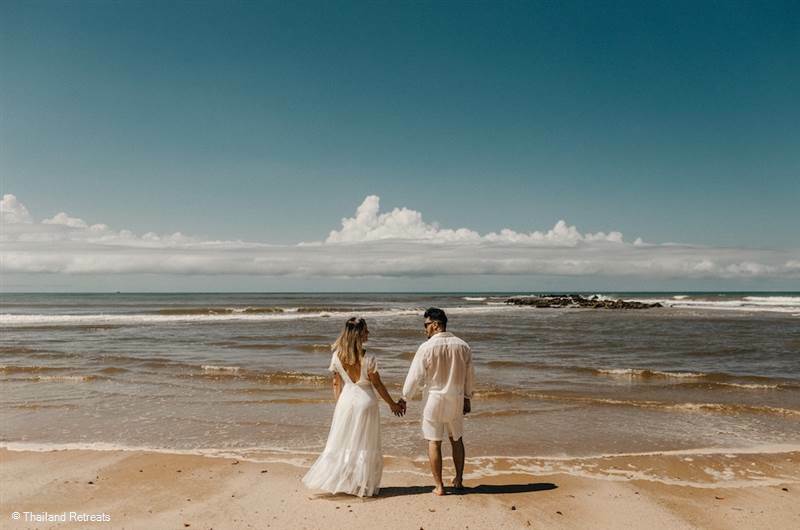 Koh Samui villas are also a popular choice for a Destination Wedding and our collection of Wedding Venue Villas provides villas with the perfect backdrop for a dream wedding. Events such as family reunions, milestone birthday celebrations and corporate team building activities are also good reasons to celebrate in a stunning Koh Samui villa. Our Wedding & Events page provides further information. There are a number of in-villa services that guests can enjoy for all of our villas, they include a Thai chef for special candlelit dinners, Thai cooking lessons, an in-villa yoga instructor or personal trainer. Massage and spa treatments and even learning to dive in your own private pool, can all be arranged. In-villa services can be arranged prior to arrival or during the stay providing the relative service is available. Looking for a holiday in Koh Samui? 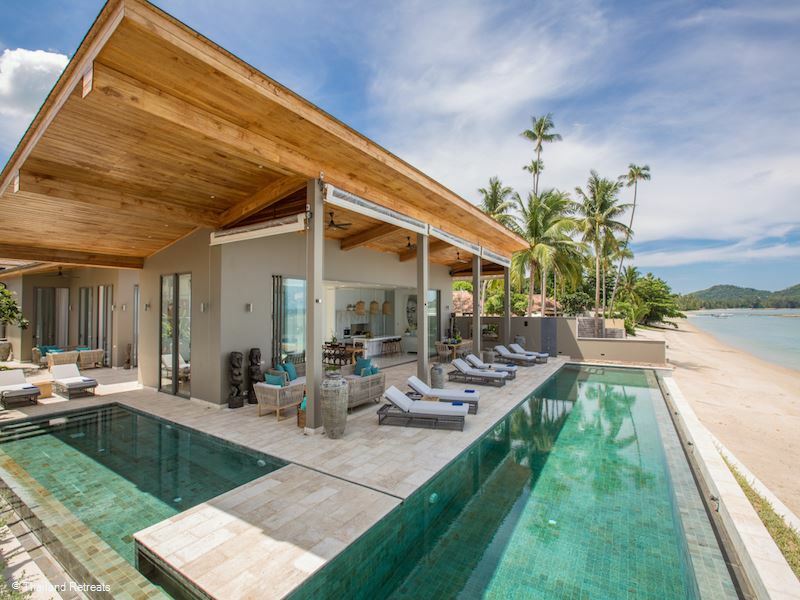 Samui Holiday Villas can introduce you to the privacy of renting a luxury villa with your family or group friends as an alternative to staying in a hotel. 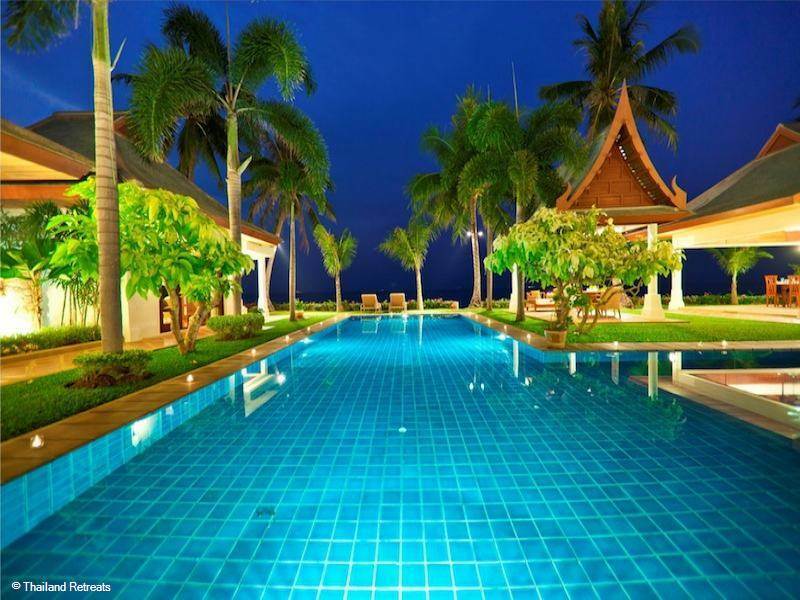 Koh Samui in Thailand is now considered one of the world’s most popular holiday destinations. A postcard-perfect tropical island that welcomes all types of visitor. You’ll get to experience white sandy beaches, aquamarine waters, exotic marine life, watersports and sea tours for diving, snorkelling and kayaking, jungle adventures, sophisticated spas and the culinary delights of Koh Samui’s wide range of restaurants and dining experiences. The main draw for Koh Samui holidays are the picture perfect beaches set between the Gulf of Thailand and the coconut palms and alhough not as secluded as those on the smaller islands in Thailand, there are still some beautiful stretches on the commercial beaches in the area of Chaweng. Beautiful secluded coves can still be found on the tranquil south and west coasts. Your Koh Samui villa holiday will be enhanced with a visit to the many cultural sights in around the island to learn abut the local history and some of the temples including Wat Phrai Yai (Big Buddha Temple) are now famous landmarks. Koh Samui is now also known as a Spa capital of south east Asia and a relaxing Spa experience should definately be on your holiday itinerary. 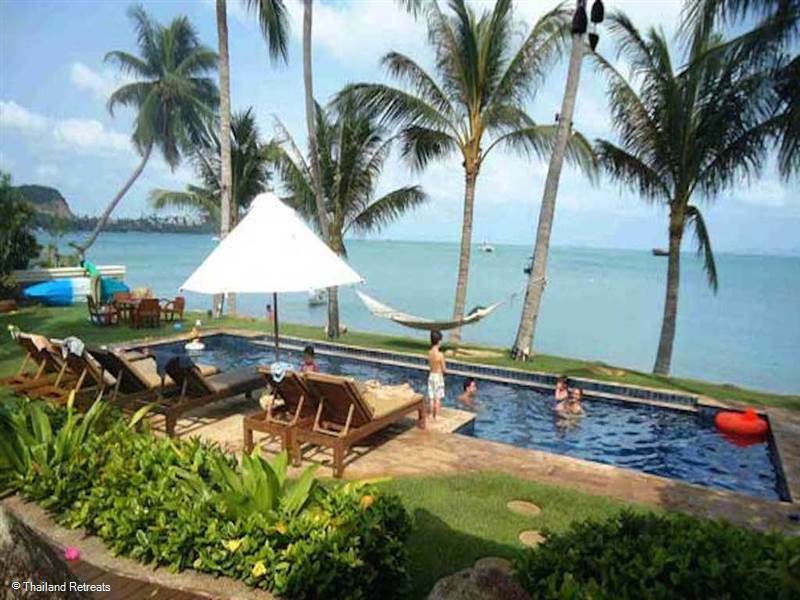 Holiday villas in Koh Samui have become increasingly more attractive as more villas have become available for short term holiday rental on this beautiful paradise island. The central mountain range is covered with orchards of tropical fruit and a trip up through the natural environment passing cascading waterfalls is well worth a visit with the panoramic view from the top. 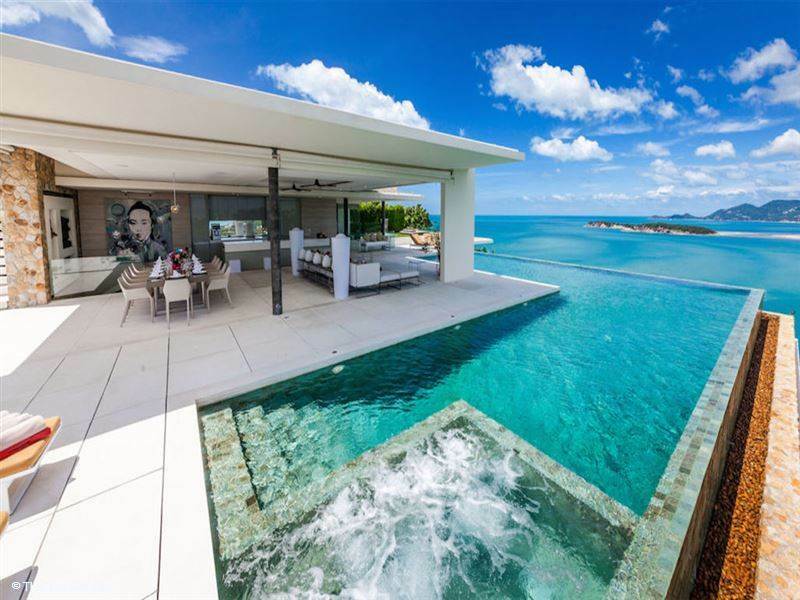 We can guide you to help find the villa that is right for you, whether that's finding a dream beachfront villa or seeking out a quiet and private hideaway nestled in the Koh Samui hillside. Our team of specialists inthe UK and Koh Samui ensure all your pre-arrival requests are waiting for you at the villa and your meet and greet at Koh Samui airport or ferry port is arranged. Once in the villa, your dedicated villa manager or contact representatives will assist with any further requirements. 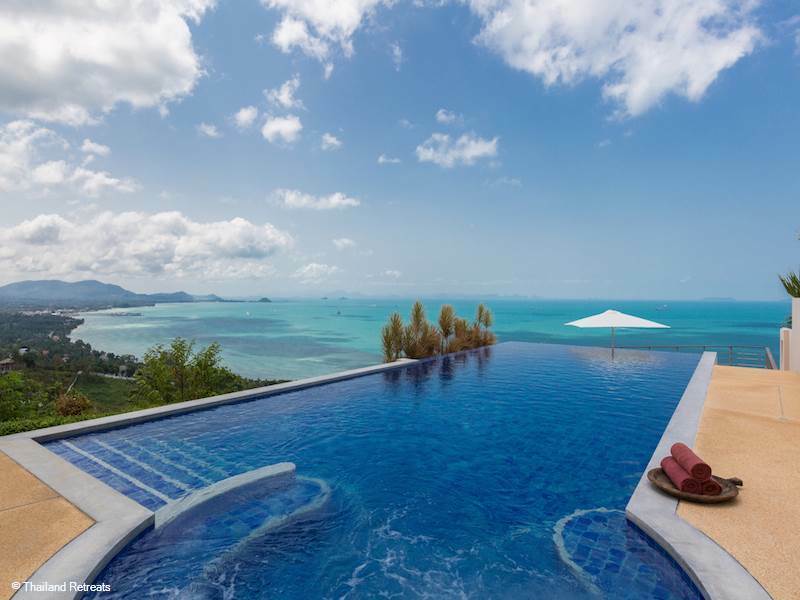 Koh Samui villas have become increasingly more attractive for short term holiday rental on this beautiful paradise island and offer varied price range depending on the type of Koh Samuii villa rental that is best for you.